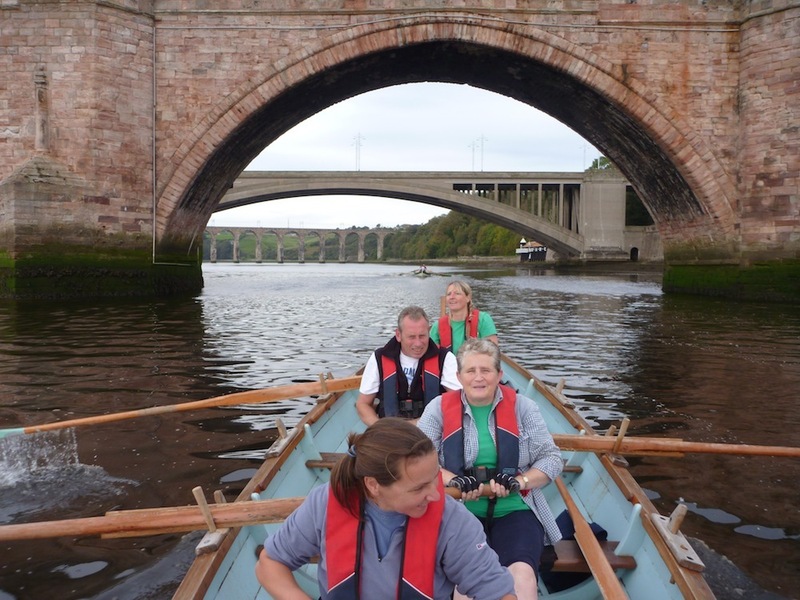 Just to report that not only is it possible to row up the Tweed, but it is stunningly beautiful to do so. We began the day with an early kick off from Porty at 7.30am, but were at Tweedmouth in little over an hour. When we got there, there seemed to be skiffs coming from all directions. 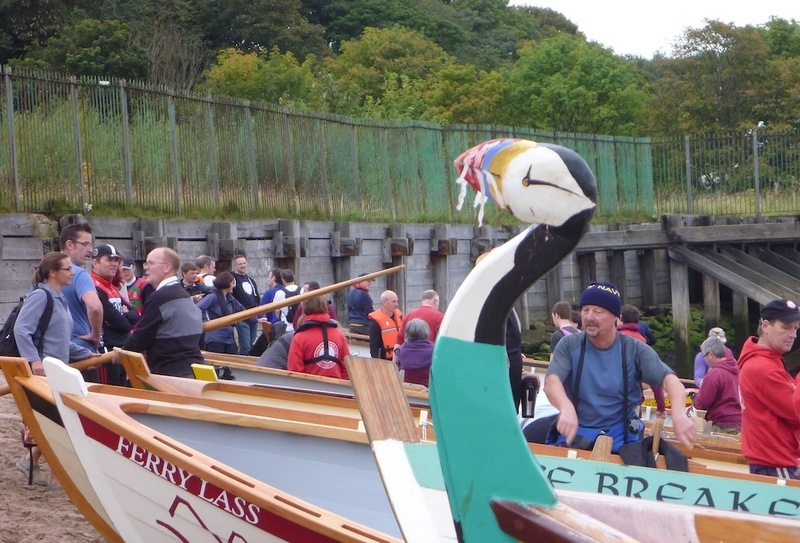 We launched at the mouth of the Tweed in the company of at least 11 other skiffs – including three new ones to the fleet – from Grace of Gosford, Puffin of St Abbs and less than 24hrs after being painted, Dunbar’s second boat, Black Agnes. The sun shone and we went under 3 magnificent bridges, passed under the A1 and then headed into the countryside for a leisurely 5 mile journey to take in the scenery. The journey was pain free until the last mile when the wind made an appearance and wasn’t in our favour, so a bit of a slog. This paled into insignificance when we arrived at our destination at Paxton House, to be met by a welcoming committee and a number of picnic hampers. A trek up a hill and we were at the house itself and made straight for the team room where we refueled with cakes, Yorkshire puds and mega sandwiches. A great trip and one we should definitely do again…..soon! Thanks to Fergus and Osbert for driving and to fellow crew members Barbara, Patsy and the very capable, Chris from Eyemouth who came to our rescue (because someone who shall remain nameless didn’t arrive in time! 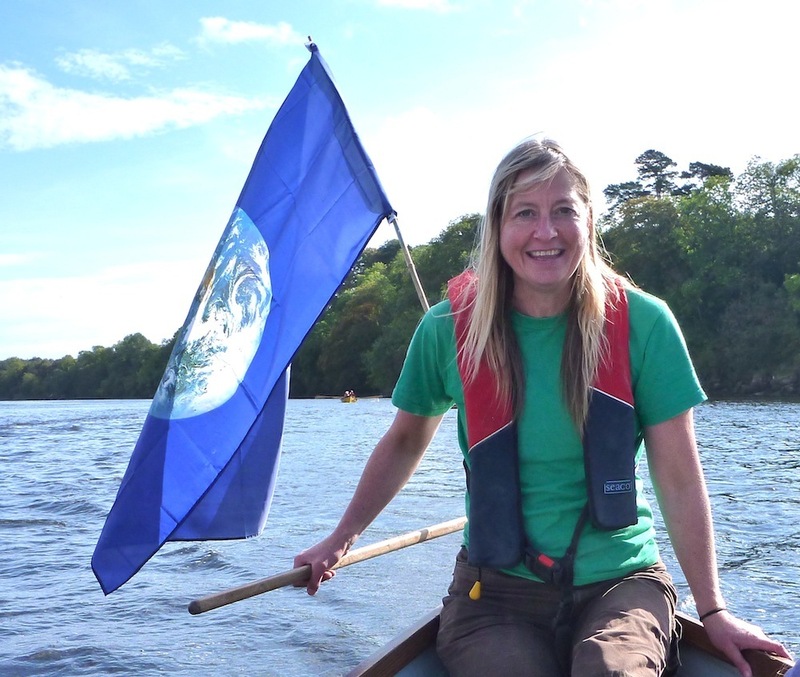 Luckily Barbara got a lift with one of the safety boats and joined us after the A1 (ed.)). We await news of the crew that rowed the boat down the river, with the current flowing and the wind blowing in their favour. Chancers! We had plenty of time after lunch before the scheduled start down the river at three, so we got the boat on the water. I decided the new crew shouldn’t miss out on the experience of rowing up current into a strong wind, so we headed up river for a while. 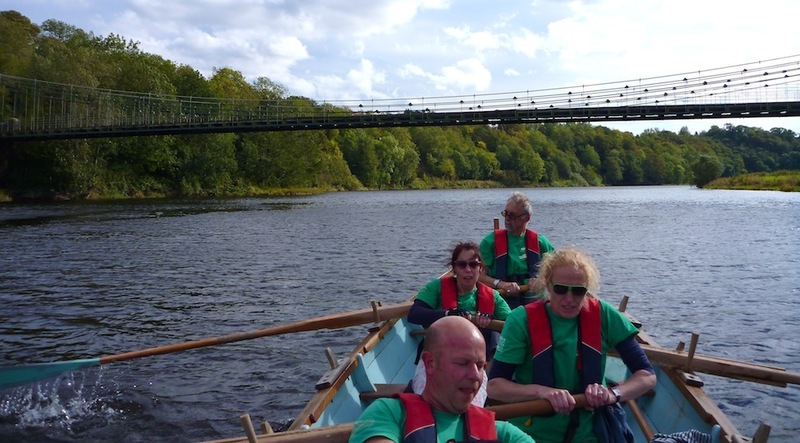 After an invigorating warm up we arrived at this amazing suspension bridge, before rowing gently downstream to find the rest of the fleet had left early and were only just visible in the distance. We were content to take it easy, even experimenting with sailing – our large flag was big enough to give us steerage way, but the bamboo cane is not strong enough to be a mast. After a burst of activity to try, unsuccessfully, to catch the others, we reverted to ‘Sunday rowing’ as the sun was beating down despite the strong breeze. With the current, wind and steady strokes we soon arrived at Berwick, giving the chancers their first view of the impressive railway bridge and the city walls. The rest of the fleet were on the beach and slipway, and without having to hang around Icebreaker was soon out the water, onto the trailer and heading back up the A1. What a great day! 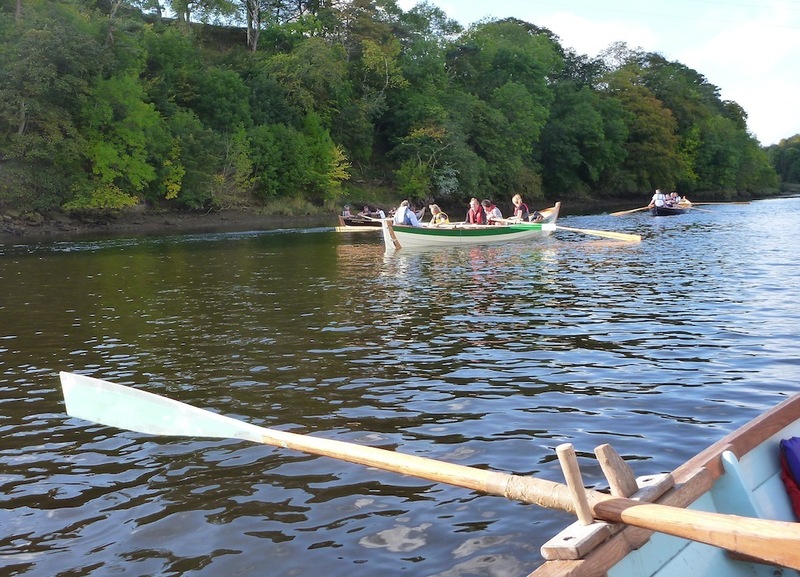 Not just the location and all the skiffs, but also the chance to row, chat, and have a laugh, all without the pressure of racing!